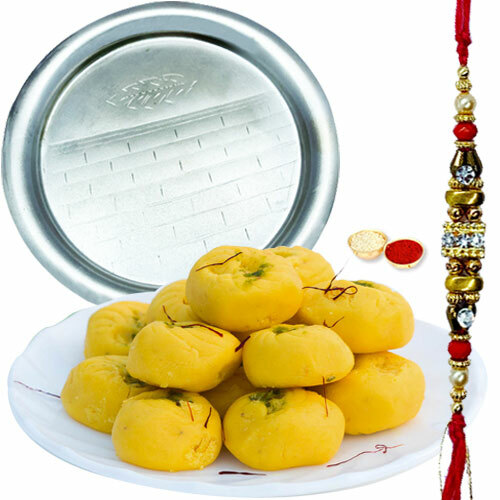 Incorporate happiness and prosperity in the life of your dear ones by gifting them this Lovely Gift of Heavenly Kesar Pedas from Haldirams and Enchanting Pooja Thali added with a free Rakhi, Roli Tilak and Chawal for Raksha Bandhan. The Kesar Pedas weighs 250 Gms and the size of the Thali is 7 to 8 inches. The formation of the Rakhi may differs.